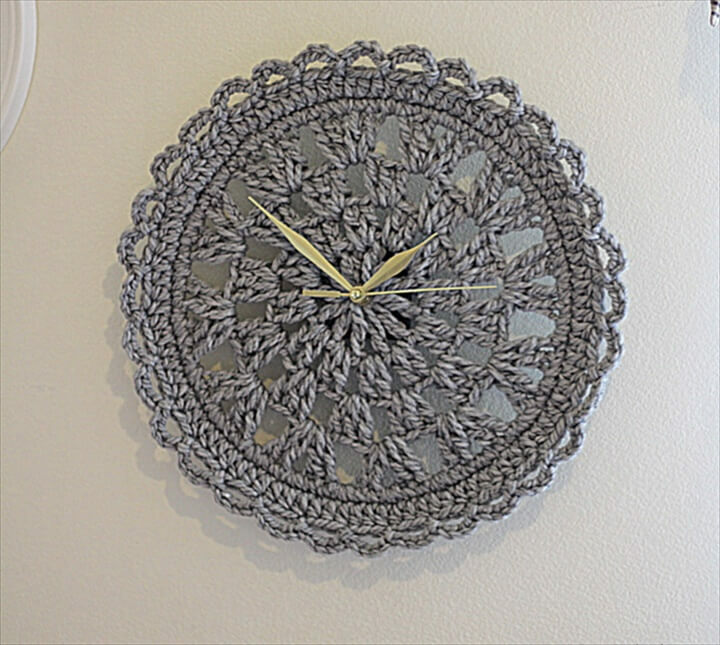 Gone are the days when crocheting were the hobby of only the grand mothers. 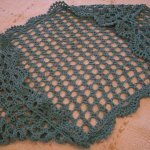 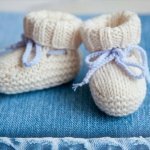 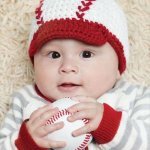 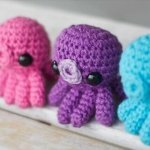 These days the crocheting is no less than a field of art as it is being used for an unlimited range of the ideas and projects than the crochet hats, slippers, scarves etc as it used to be in the past. 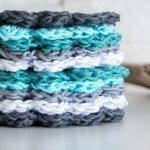 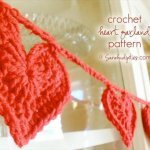 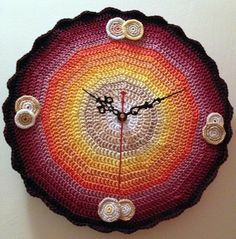 Now people who are skilled in the crochet art using it for the betterment of their DIY home decor by making a lot of unique yet interesting fun things out of it. 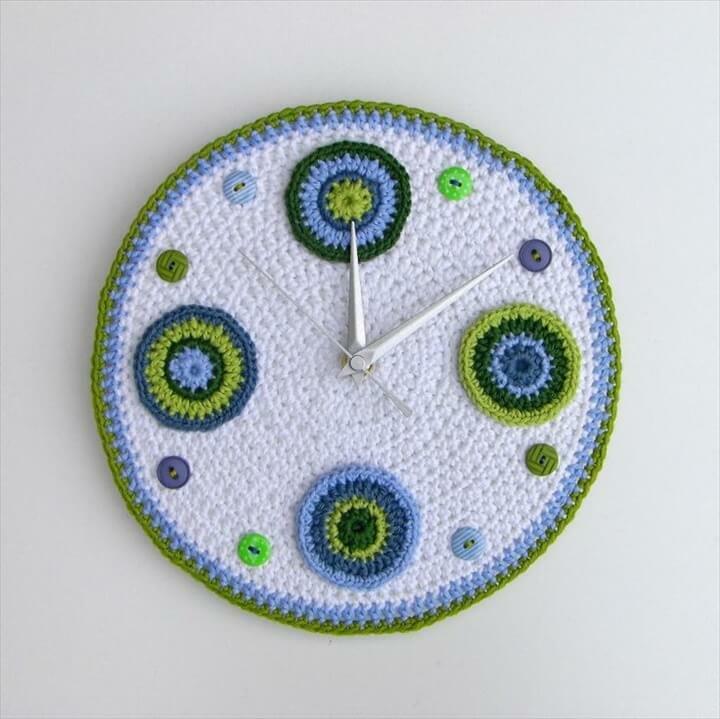 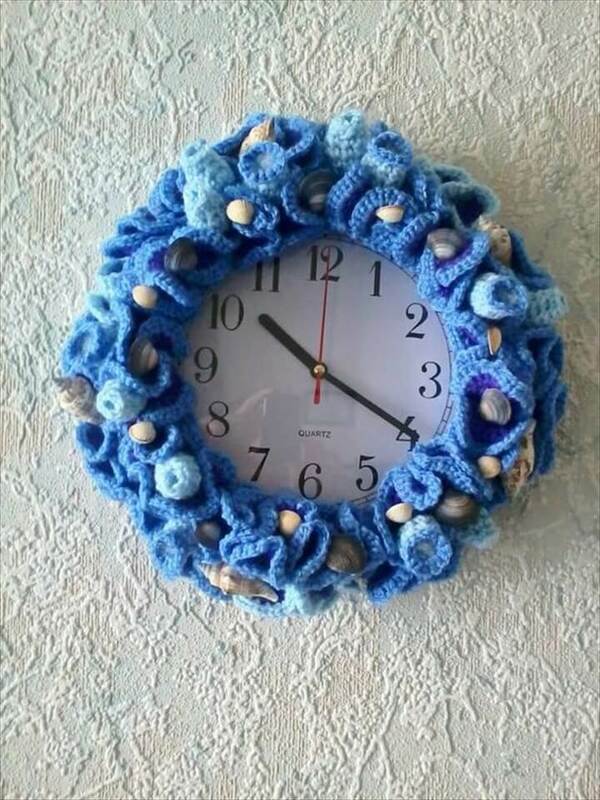 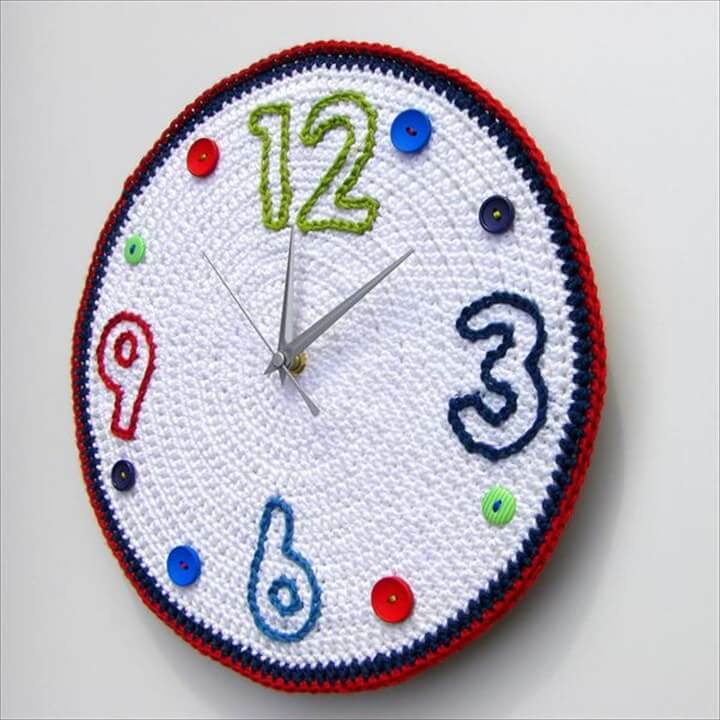 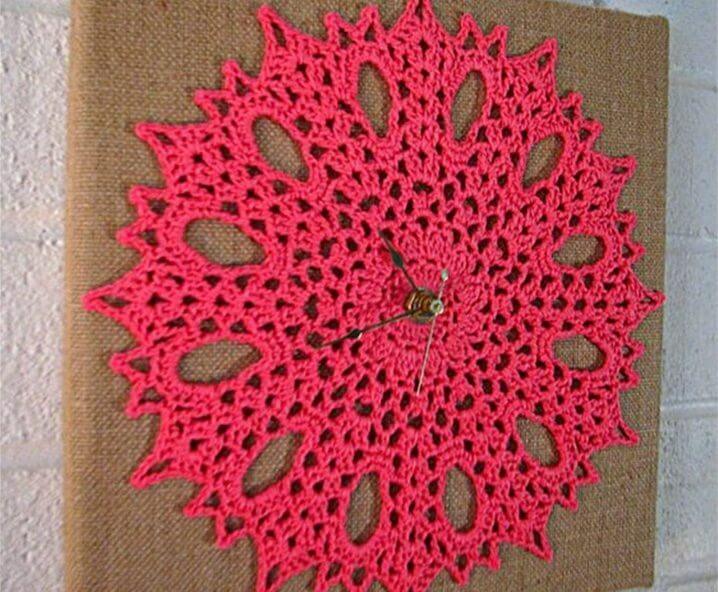 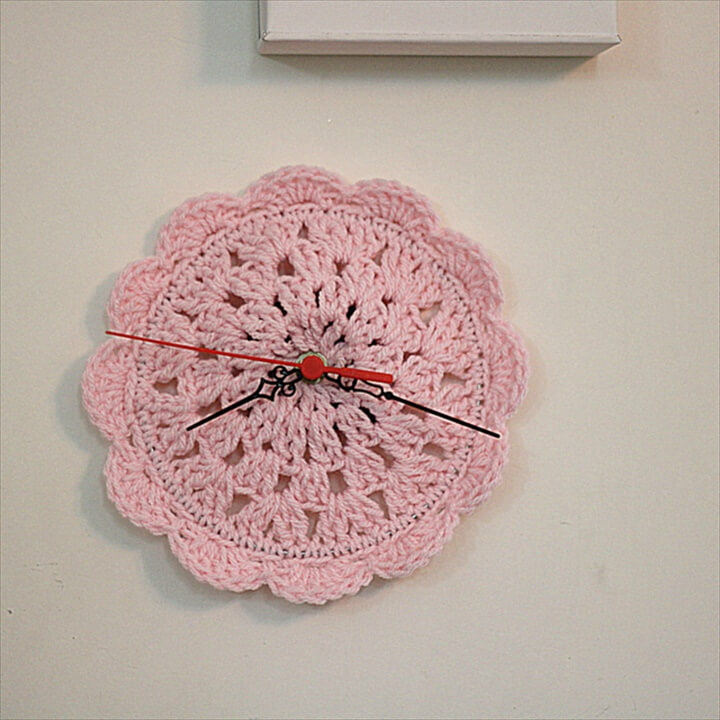 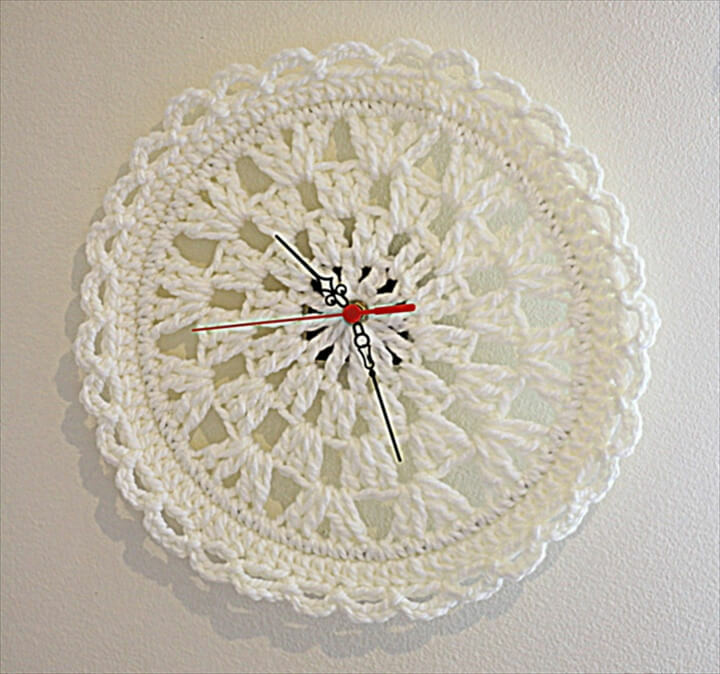 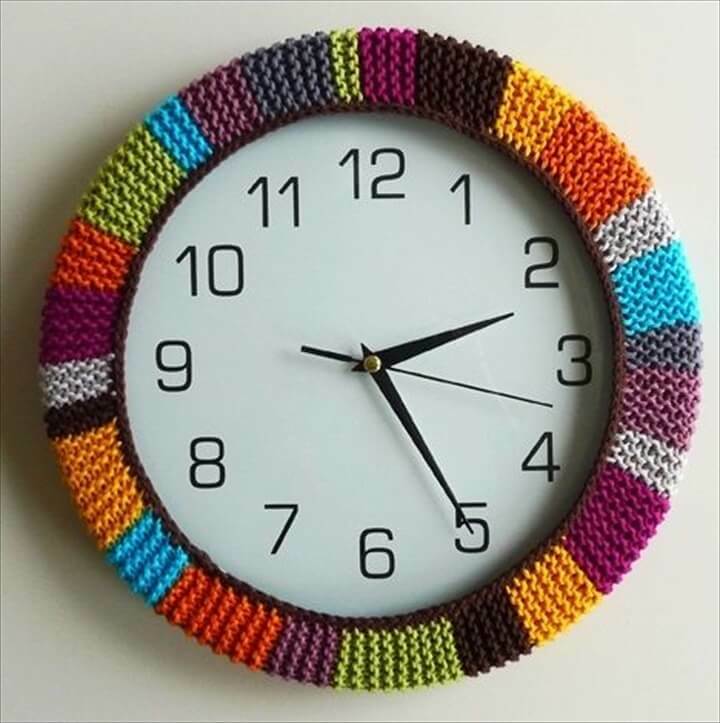 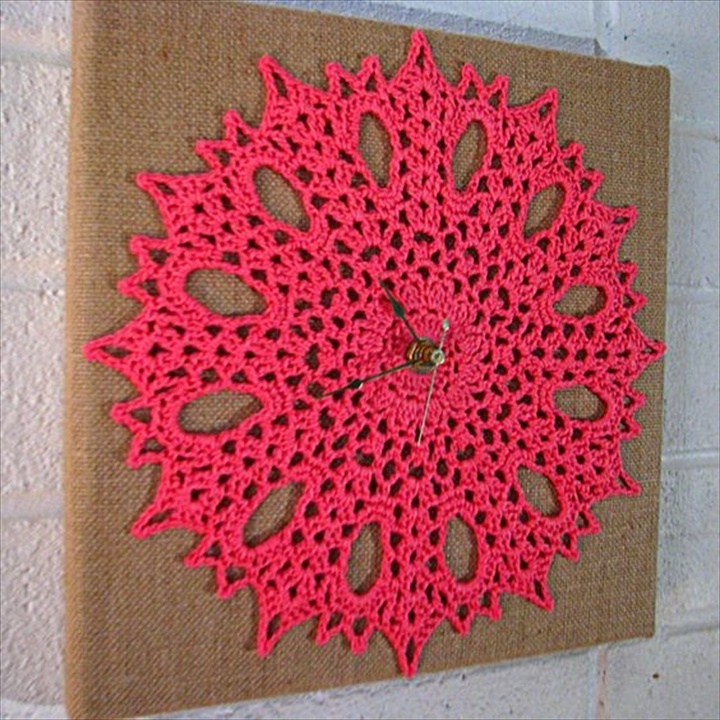 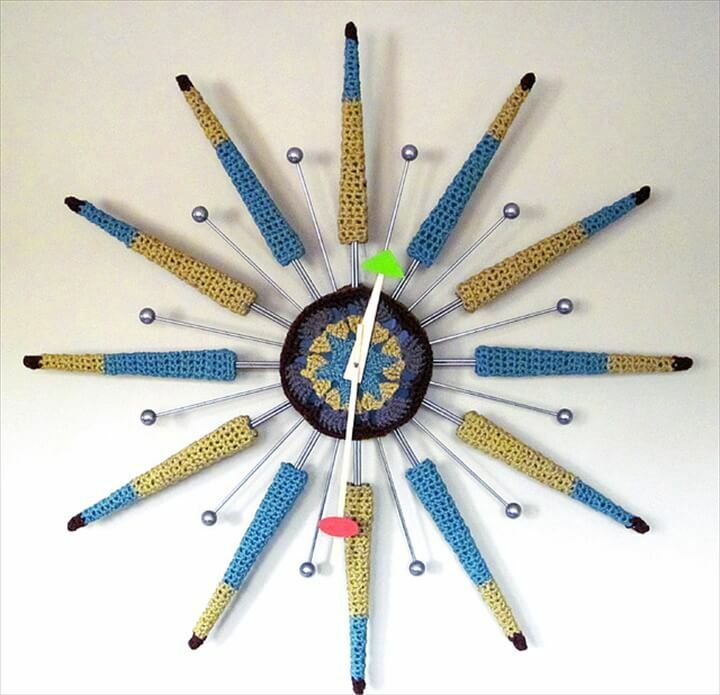 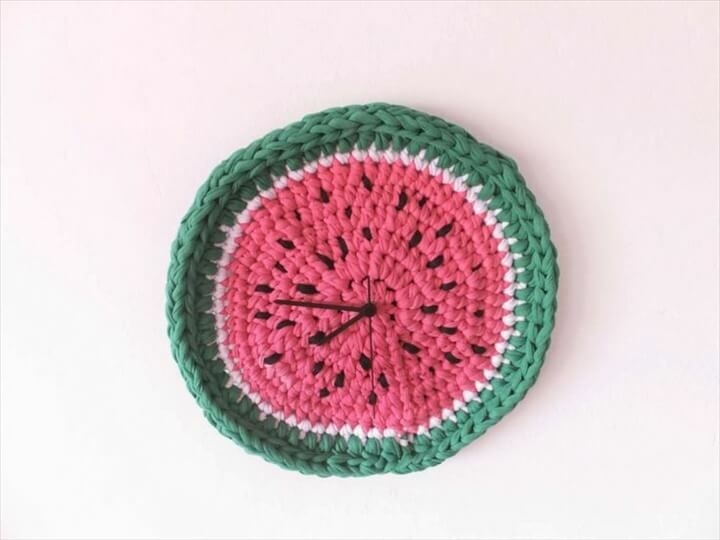 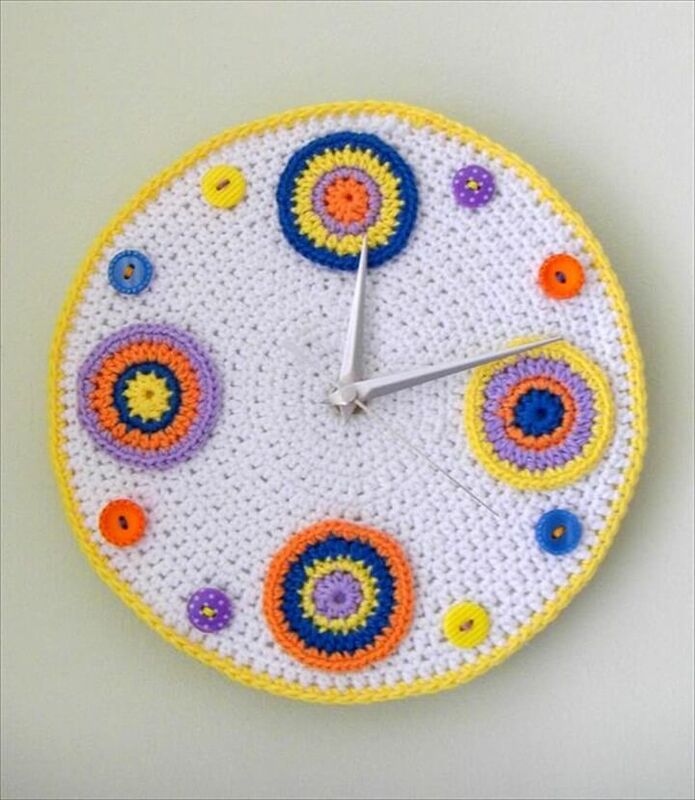 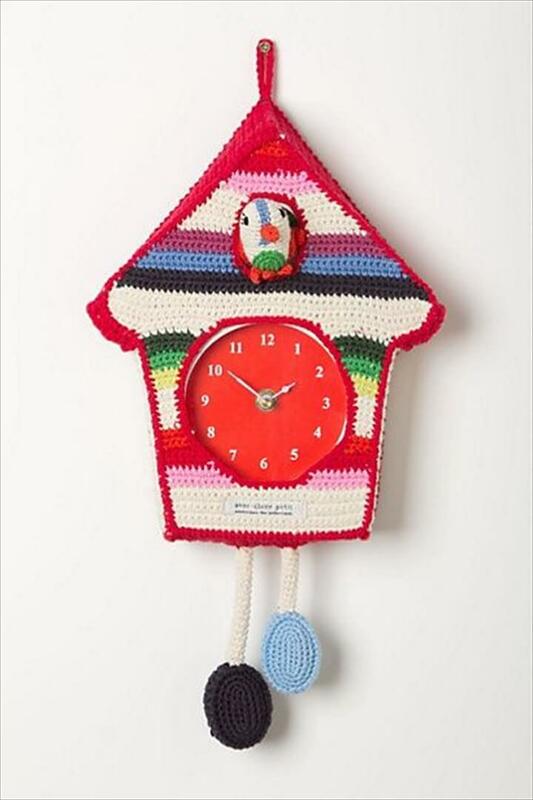 And here we are going to share you with a very innovative and stand out crocheted home decor thing that would surely blow your minds and that is the crochet clock. 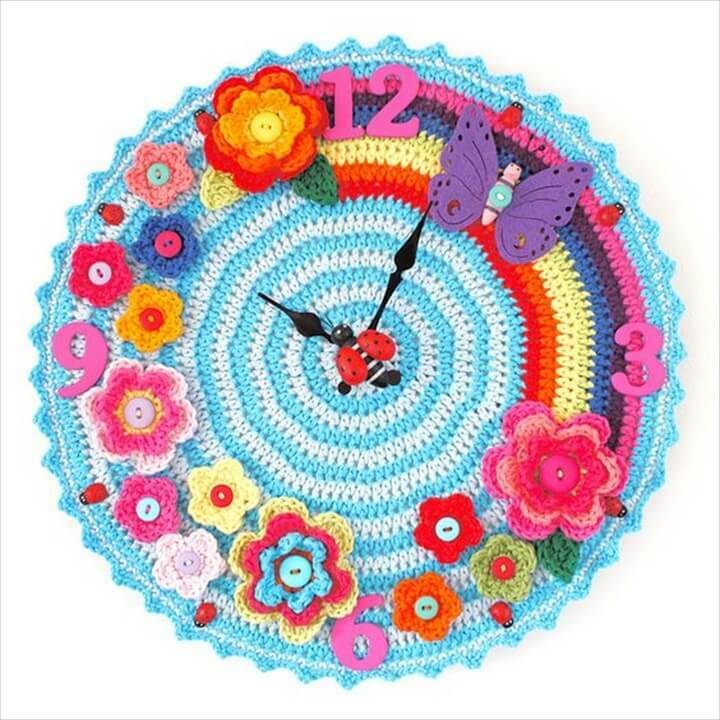 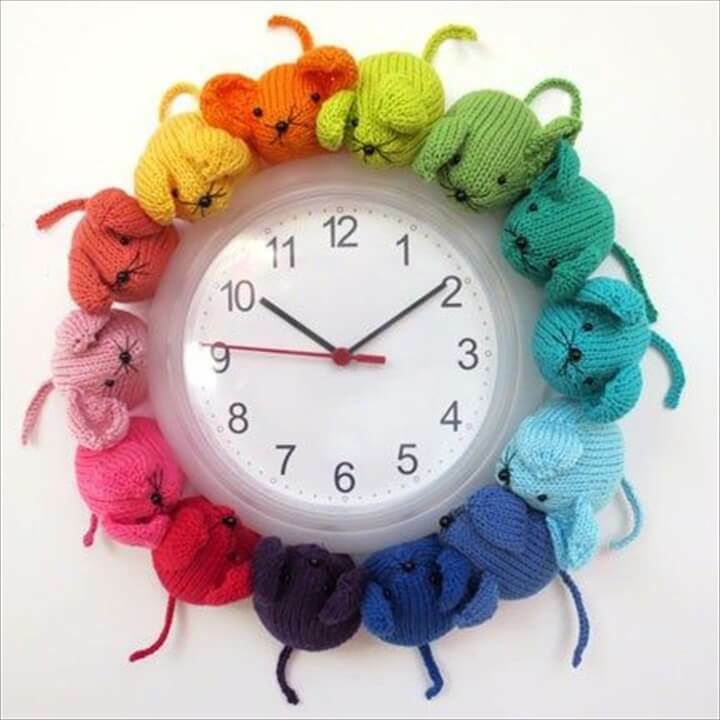 Not only one, we have 20 DIY crochet clock patterns, revealing how gorgeously you can dress up your old and boring clocks to look truly one of a kind and enhance the wall decor instantly. 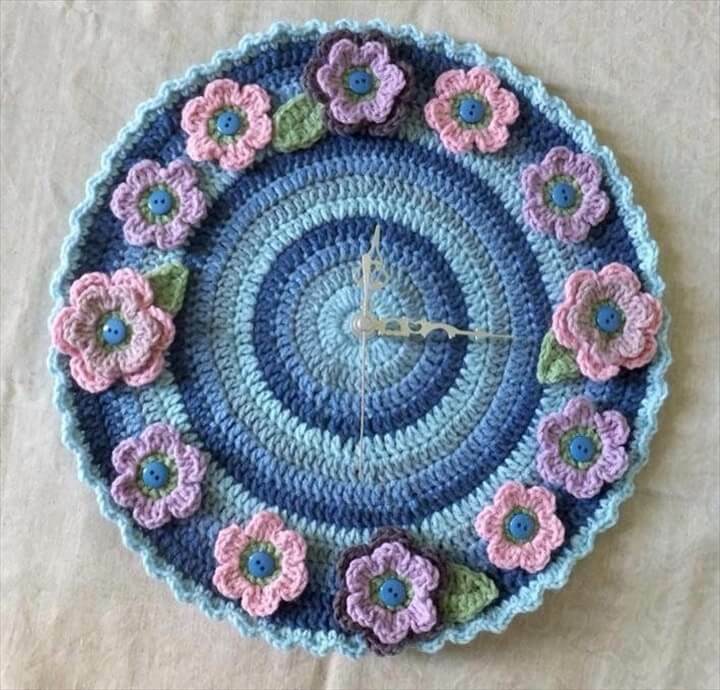 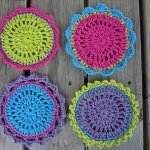 Crochet flowers, circles and squares all can be crafted with your favorite yarn color with some extra spice touch of buttons and sea shells. 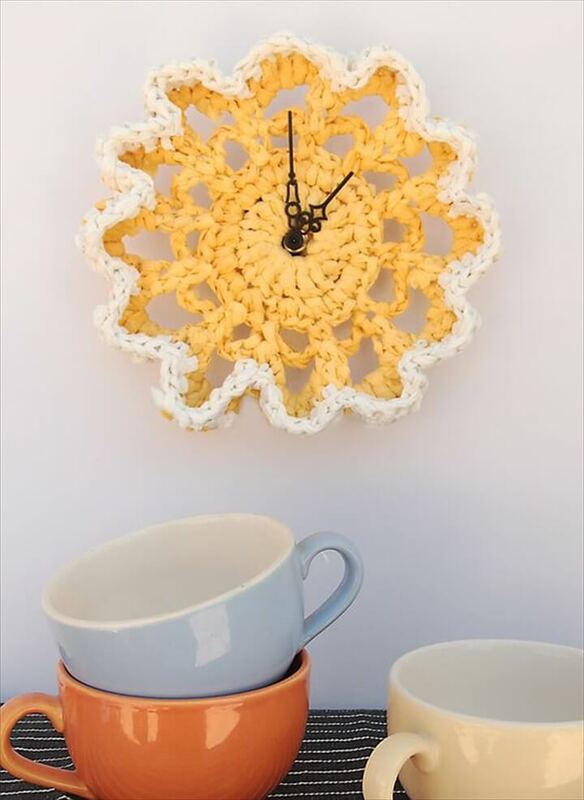 These cute crochet clocks would not only add cozy and warm details in your home but would also make great gifts to give away at any event. 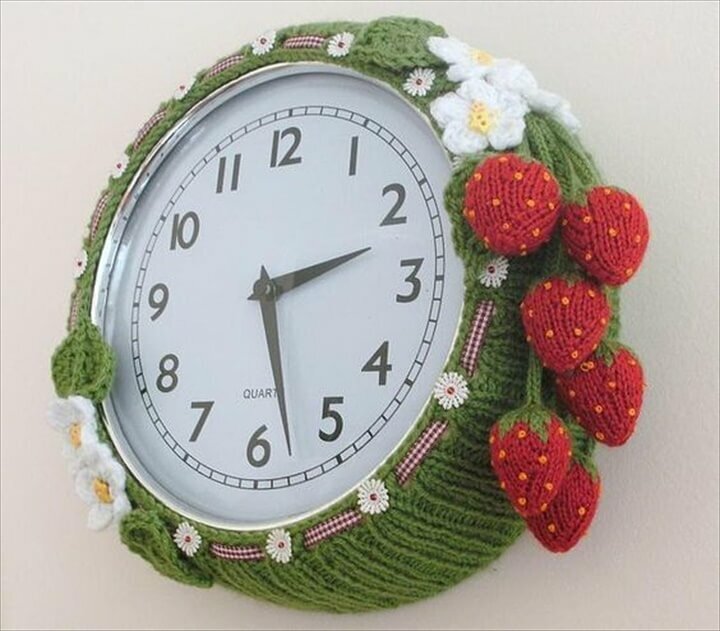 So take out some time and your knitting sticks to stitch your favorite clock pattern making the most out of your crocheting skills.